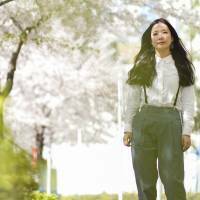 The experience seemed to have a galvanizing effect on her music: where Cuushe’s songs had once been dreamy to the point of soporific, “Butterfly Case” was considerably more focused, all shimmering synthesizers and loping four-four beats. In a few instances, notably on lead single “I Love You,” it sounded positively euphoric. On her follow-up, the recently released “Night Lines” EP, Cuushe has continued in a similar vein — a result, she says, of wanting to give her audiences something they could dance to at her shows. Standout track “Daze,” which rattles along at a brisk 130 bpm, is the most propulsive thing she’s ever done, while the sultry hip-hop grooves of “Tie” seem tailor-made for slow dancing at a hipster disco. Once again, the EP finds her working in collaboration with Flau label boss Yasuhiko “Aus” Fukuzono, who has contributed production work to all of Cuushe’s recordings to date. In this case, though, he says he had much less to do. Whereas “Butterfly Case” was created in thrall to Berlin, with “Night Lines” Cuushe looked to the Japanese capital for inspiration. “I was imagining Tokyo at night, and capturing those feelings in song — you could say it’s my version of ‘city pop,’ ” she says. Her surroundings influenced the music in other ways, too. Audiences at recent Cuushe shows may have been surprised to hear the singer performing with a gusto that’s far removed from the breathy restraint of her recordings. Cuushe took a similar approach on last year’s “Do You Feel Me”, the uncharacteristically chipper track that she contributed to a “Secret Songs” compilation put together by Ryan Hemsworth. The Canadian DJ and producer has become a kingmaker for Internet musicians, and was an early champion of PC Music, the divisive British label that’s spawned an entire sub-genre of garish, deconstructed pop. Cuushe had originally written “Do You Feel Me” while working on “Butterfly Case”, but ditched it because it sounded too jaunty; now she was resurrecting it for precisely that reason. Perhaps this is what endeared her to Cascine, the New York- and London-based indie imprint that is releasing “Night Lines” digitally and in a limited vinyl edition in the U.S. While her Japanese label, Flau, typically prefers its music hushed and reverent, Cascine is rather more pop in its affiliations. So does she think they’re hoping for Cuushe to develop into an indie answer to Kyary Pamyu Pamyu? “She’s too shy, for starters,” says Fukuzono. She laughs; Fukuzono grimaces. Maybe there are some dreams that are better left unfulfilled. “Night Lines” is out now on Flau. 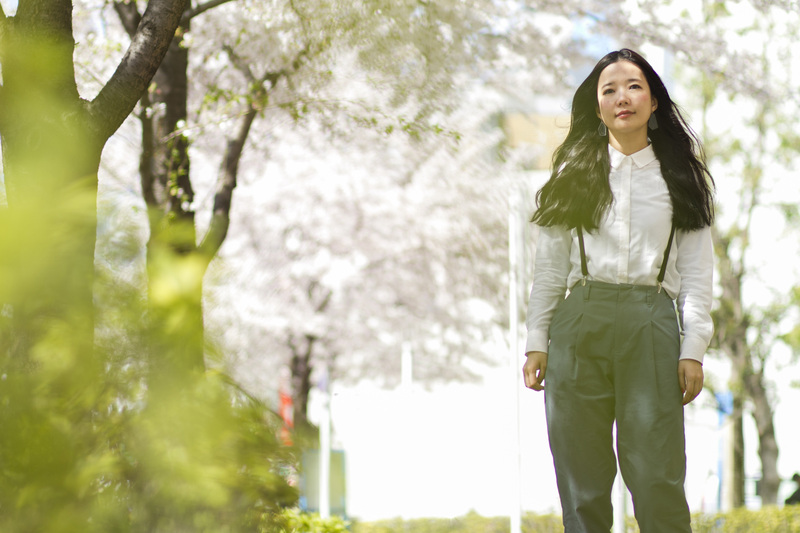 Cuushe plays a free show at Harcoza in Shibuya-ku, Tokyo, on May 23. For more information, visit www.cuushe.net or www.harcoza.com.